Remodeling your kitchen can be stressful. This is especially true because you use this room every day. Such a project can take up to six months depending on the scope. But just like any other home renovation, preparation is of key importance to lighten the burden. You know that you’ve hired a reputable general contractor for your project if they communicate everything that is going on with the project with you. This gives you peace of mind that the crew is working to achieve your vision for your kitchen. However, you must also expect hurdles along the way. While it is the contractor’s job to be certain that all the project’s details are followed correctly, mistakes can sometimes occur. Whenever your contractor tells you about something that isn’t going according to plan, acknowledge and talk about it with the crew until there is a solution to the problem. It would be nice to expect the project to end right on schedule, but dates are typically estimates at best. Focus on it entirely, and you might end up stressed due to disappointment that the project isn’t finished on time. 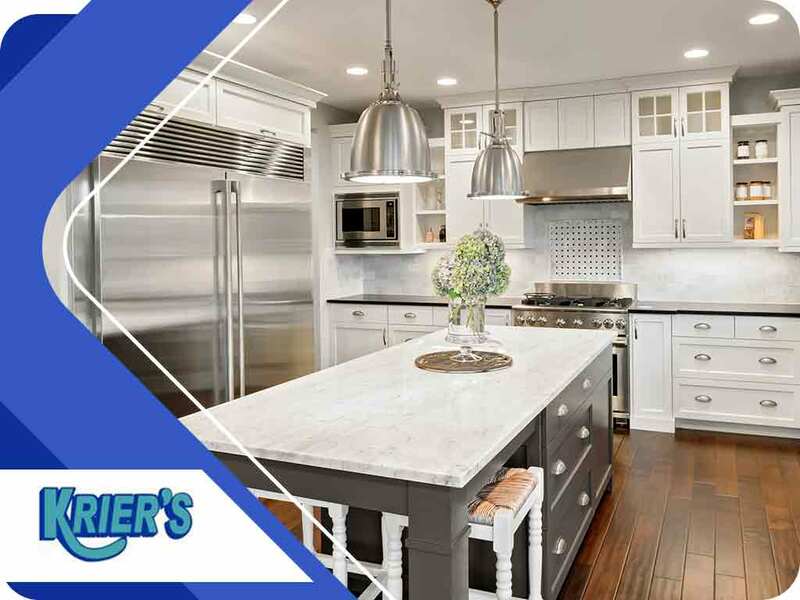 Prepare yourself for the possibility of extending the kitchen remodel to a later date, taking into account potential setbacks that might occur during the project. That said, your contractor must have a plausible reason if the conclusion of the project is pushed too far out. Since your kitchen is being remodeled, think of setting up a temporary kitchen. A simple table setup will suffice with all your kitchen essentials in place. Kitchen remodeling presents many challenges. But, as long as you are mentally and financially prepared, you can get you through it stress-free. It also helps if you work with a general contractor you can trust like Krier’s Construction. For your home improvement needs, hire the roofers and remodeling experts at Krier’s Construction. Call us at (920) 233-3633, or fill out our contact form. We serve residents of Oshkosh, Green Bay and Appleton, WI.